As many of you know, Google has now announced HTTPS as a ranking signal. In plain English this means that all things being equal, a site served over HTTPS will rank higher than a site served over HTTP. And don’t take “all things being equal” lightly, there are hundreds of factors that influence how well your site ranks (so there’s no need to drop everything and buy an SSL certificate). Regardless, security (as in the case with performance) is clearly a direction towards which the web is moving. Configuring SSL is a pain, even when you know what you’re doing. 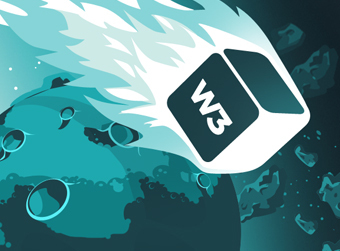 The last thing we want here at W3 EDGE is to make it harder for you to run a secure website once you’ve gone through the trouble of implementing security measures. Caching of HTTPS pages: on the page cache settings page, you can “Cache SSL (https) requests” (uniquely) for improved performance. Pro tip: you can also use the define('DONOTCACHEPAGE', true); define statement in your functions.php file to specify a page or series of pages where page caching should be disabled. Navigate to Performance > FAQ in your Dashboard for more information. Disable CDN on SSL pages: We have a lot of customers who run ecommerce websites and secure transaction pages (/cart, etc.) with SSL. Many of these customers also integrate a Content Delivery Network on their site to improve performance, and this can break SSL pages if the CDN URLs are HTTP. W3TC has long since allowed you to disable CDN on HTTPS pages with a snippet of code, but this functionality is now fully exposed through the UI. Usage: On the CDN Settings page, simply select the “Disable CDN on SSL pages” checkbox under the Advanced section. SSL Support: W3TC also supports CDNs served over HTTPS. Pro tip: to maximize the use of W3TC and your CDN on sites with both HTTP and HTTPS pages, you can define both versions of your CDN hostnames in the “Replace site’s hostname with” fields of the CDN settings page in the following format: cdn.yourdomain.com,ssl-cdn.yourdomain.com. You can see Yoast’s configuration illustrated in his excellent post on WordPress and CDNs. CloudFlare is a product that many of our customers use for securing and accelerating their sites. You can actually use CloudFlare’s Pro plan ($20/mo as of the time of this post) to serve your site over SSL without needing to purchase and configure an SSL certificate. The latest version of W3TC ships with a CloudFlare extension to facilitate the connection between your site and the CloudFlare services. This connector is not required for CloudFlare to function of course (CloudFlare works at the DNS level), but our connector exposes a number of useful functions that allow you to make changes right from W3TC. Fun fact: CloudFlare was originally conceived as a security product that ended up having performance benefits as a result of how it functions. I know, this stuff can be overwhelming if you don’t have an engineering degree or if you’re just wading into these waters. You can drop us a note or order professional configuration if you need help. Here at W3 EDGE, and we use SSL to secure credit card transactions when customers purchase W3 Total Cache Pro license through the WordPress dashboard. Upon learning of the bug, we upgraded OpenSSL on our servers to version 1.0.1g which was released on Monday and contains a patch for the Heartbleed bug. No action is required on your part, and you can continue using W3 Total Cache with confidence. For those of you that have been bothered or concerned with the notion of upgrading W3 Total Cache because new features have been problematic for you, we understand your concerns and we’re grateful to those that take the time to reach out about their challenges. As you may know, no amount of testing or known process allows us to identify issues that may occur on your site before hand due to all of the various hosting environments, plugins and themes that exist in eco-system. So, to begin to address challenges nonetheless, the next release of W3 Total Cache includes two key new features that will allow us to iterate faster, provide maintenance updates which are not expected break your installation (because they don’t relate to features) and also make you aware of security or best practice updates so that you can keep your site as up-to-date as WordPress itself. Maintenance Updates Now each release will notify you of the changes that have occurred to the default settings since the last update and also make it easy for you to identify best practices that will help you make your site or application faster. The notifications can be ignored or automatically applied to your settings in just a click. Edge Mode WordPress is used in countless ways, environments and alongside of various software including plugins, themes and even drop-ins. For that reason, rather than continue to fail to maintain a developer network to help us go beyond our automated testing suite (and continuous integration practices), we are rolling out edge mode.The key is that in the new update you will be prompted to opt-in to edge mode that will allow you to test features that have not yet been tested in a large enough % of the user-base. This provides us the ability to use the typical WordPress workflow to provide updates more frequently for maintenance and also allows us to allow testers and early adopters to benefit from new features immediately as well.We anticipate that this change will allow us to make at least one release per month, but will be targeting one release per week. Again, those who have opted into edge mode would be able to preview features that are not available to users who have opted-out (the default setting). Pro subscribers will not be opted into the edge mode; however there will be Pro features available in edge mode periodically. We hope that these changes will create a much better user experience and allow us to more aggressively further our mission to empower publishers and application developers to focus on their content and business rather than on web performance optimization. Several weeks ago we silently launched version 0.9.3, a very exciting release for us. As we get closer to a final release of the popular web performance optimization (WPO) framework, we’re finally able start employing the best practices our colleagues like Joost de Valk and Pippin Williamson (among others) have championed for some time. Fragment Caching Social layer, personalization and e-commerce etc are common elements of highly dynamic web sites. That means that caching entire pages to improve user experience and performance is not a solution. Fragment Caching bridges the gap between no caching at all and the “ideal,” full page caching. By extending the WordPress Transient API, W3TC allows developers to bring both horizontal and vertical scale to bear without doing anything differently. Extension Framework As mentioned above, extensions / add-ons represent a great opportunity to both de-bloat projects that solve many problems or address many use cases. It also allows for innovation as 3rd parties can make contributions without having to be a core project developer to contribute or solve their problems while maintaining the control they need. We’re excited for you to try this first iteration of our extension framework, and documentation can be found (for now) inside the plugin’s FAQ. Genesis Framework Extension Among the most popular theme clubs in the market and part of a highly valuable suite of publishing solutions is the Genesis Framework. Our work in the website optimization industry for the past 11+ years allows us to know great products and communities when we see them, and that is why we chose to work with CopyBlogger Media to enhance the performance of the framework.The extension is included in the W3TC default distribution and requires an active Genesis theme as well as W3TC Pro. The extension leverages the fragment cache in order to do its magic, a solid example of the power of the new extension framework. Once enabled, a given page request will be served 30-60% faster (and will be even faster as we move forward). Working with the Genesis team to get this extension into play has been fun, but we do expect to find some bugs along the way. Please let us know what you find so that we can promptly address. Meanwhile, we hope the value we’re offering helps you create engaging experiences for your readers / users. For Synthesis hosting customers, the upgrade is free and already running on your site(s). For those interested in upgrading to the Pro version, simply use the upgrade button to obtain a license key valid for a single WordPress installation. To have a professional from the team tune your site for performance, simply make a purchase from the support tab of the plugin itself. To learn more about how fragment caching helps “origin optimization” (optimizing your site for the cache miss and other use cases), check out the white paper we co-authored with our friends at CopyBlogger Media! We have a lot more planned for the Pro version of W3TC, so please stay tuned or share your ideas with us as we move forward. We take security quite seriously even though our focus is on making it trivial to allow any publisher to maximize the performance they can extract from their hosting environment and WordPress itself. Most recently we took a look at the steps that GoDaddy was taking in the shared hosting segment of the market. This issue was resolved, irrespective of whether or not #1 was true in release 0.9.2.5 which offset the next release than some of you may have been testing to 0.9.2.6. The 0.9.2.6 release expected within less than a week further expands on the initial approach to securing caching files to disk while using database caching and ameliorates issues caused with the previous patch. One might ask, why not completely remove disk caching for the database from the W3TC framework? The problem is that our goal is to make it possible for users to take control of their performance needs, that means that if they have an environment where they’ve tested to find that reading cache files from disk provided lower execution times than not caching at all, that option should be available. After years of scaling web sites, one thing we know for sure is that as your site grows, the techniques you use to scale it change. W3TC is ready to grow with you. With more than 140 features and fixes in the next release, the future is bright. We recently released a security update to W3 Total Cache that addresses a vulnerability that can be exploited on misconfigured servers when database caching to disk is enabled. All users are encouraged to update. This likely means that you’ve had us configure W3 Total Cache on your site already, and you were running a newer version of the plugin already. You’ll need to manually disable W3 Total Cache to restore access and reach out so we can get you sorted. Suspicious activity in wordpress.org plugin was noticed and a few plugins were found to be compromised. Malicious code was added to these plugins creating backdoor access to the web server. You would only be affected if you downloaded an update of the plugin today. Once we were notified of the issue, we made sure that the current stable release (0.9.2.2) was restored to normal in addition to releasing the current development version as (0.9.2.3) allowing users to get an upgrade notification in WordPress Admin. Needless to say, if you haven’t already upgraded, we encourage you to do so straight away via the WordPress Admin’s plugins page, it just takes a minute. If you did not upgrade today, you site should be secure, however we encourage you to update so that your site can take advantage of the additional performance optimizations included with each release. As many of you have learned from working with us, W3TC seeks to improve the search engine ranking, conversion rates and user experience of web sites for free. We welcome you to submit a bug submission form from the support tab of the plugin to help us identify issues in new features and old features as the performance framework is used in more and more cases. As always, thanks for your understanding and participation. I was fortunate enough to discuss WordPress usability with one of the industries most well-recognized personalities Joost de Valk. One of the harbingers of progress in the WordPress community allowed us to contribute a custom redesign including the latest in social media elements and custom illustrations. We’re proud to have worked on yet another mashable.com site redesign.